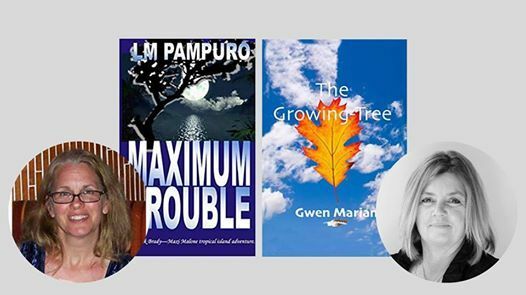 Savoy Bookshop & Café and Westerly Library present a Local Author Spotlight: Fiction Edition featuring Gwen Mariani (The Growing-Tree) and LM Pampuro (Maximum Trouble). This event is free and open to the public. Gwen resides in Waterford, Connecticut, with her husband, two sons, and three dogs. She is an inventor, an artist, and an intuitive who is inspired by nature and animals. 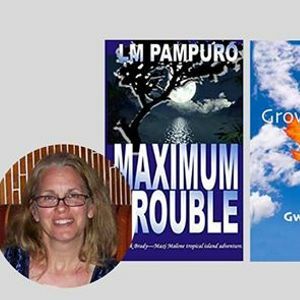 Gwen has been writing short stories, poetry, and affirmations for more than thirty years. 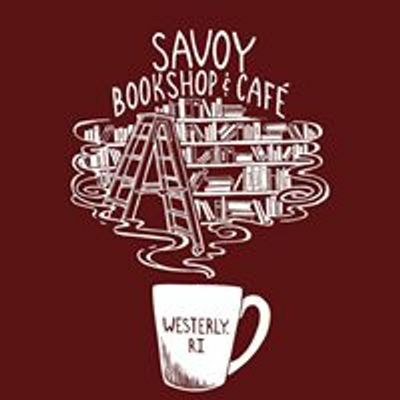 The Growing-Tree is her first novel. Lizzi Young lives in a small New England town with her husband, two teenage sons, and four dogs. At forty-four years old she finds herself living the life she dreamed of, but something has been stirring beneath the foundation of safety and security on which she has built her life and family. A passing spring storm reveals a hole in her beautiful backyard, and Lizzi begins to question the solid foundation she has depended on all these years. Roots from a large oak tree, cut down several years earlier, have finally disintegrated, collapsing within and exposing the past devastation to the light of day. This discovery comes on the heels of her extended family becoming bitter and estranged after the death of her grandmother, Gigi, three years earlier. As they attempt to drag her into the latest family saga that creates a clear divide in the ones she loves, it quickly becomes the most difficult decision she has ever had to make. Unable to make sense of the emotional turmoil she feels for them and the strong stance not to get involved this time, she finds herself deep in the center of a long-ago buried issue. This groundbreaking breakthrough reveals her past in a whole new light, and she finds a new perspective on her beliefs and the family that raised her. This hole is a catalyst for Lizzi to dig up her past and come to terms with the crumbling foundation of her family structure. Through childhood memories that flood her mind Lizzi struggles to face her own insecurities and is determined to heal this damaged part of her landscape and life. Along with a little encouragement from her deceased grandmother, Gigi, insights from her quirky and elderly Aunt Eleanor, and an unlikely connection to a lonely neighbor, Lizzi finds the strength to rebuild her foundation and grow as an individual. As a child, her grandmothers would often ask "Are you making up stories again?" From the wrinkles in the blankets turning into slithering snakes to the pop of the furnace convincing her someone was in the basement, L.M. Pampuro's imagination has been turned on since her youth. Today she is the author of six novels: Dancing With Faith, Maximum Mayhem, The Perfect Pitch, Passenger-the only game in town, Uncle Neddy's Funeral, and Maximum Trouble. Her relationship with Zack Brady is in undefined territory. The trial of Gert Fountain fades in her rearview mirror. Needing a break, Maxi Malone tags along with her parents for a well-deserved break on the island of Aruba. An unmarked war ship sits just off the coast of this tropical paradise. Innocent tourists and natives alike are plunged into the deep web of a psychopath's revenge. With hostile encounters taking place in U.S. waters, Zack Brady is recruited back into the United States military. As the situation in Aruba becomes more personal, he is dispatched to the island with the sole purpose of saving Maxi and her family. The only question now is can he get there in time? A gripping continuation of Pampuro's Maximum Mayhem, Maximum Trouble brings a new Zach and Maxi adventure to life.